What an eventful ten days not just for Happisburgh but almost all the Norfolk coastal communities. First we have the reports in the press and media of a study conducted by Dr. Nigel Pontee of the Halcrow group and others which tells the world that the coastline of England and Wales has become steeper. The south of England showing the most dramatic changes. Apparently 61% of the studied coastline has been affected. According to Dr. Nigel the most likely cause of steepening appears to be man made infrastructure on the upper parts of the shore (how convenient). What they have singularly failed to tell us is the contribution marine aggregate dredging has made to that steepening and I am willing to bet much of that 61% of coastline is close to the licensed dredging areas. However it made a good scene setter for the next bombshell: the report in the Eastern Daily Press of the proposed Shoreline Management Plan (SMP) for the Norfolk coast published on Saturday 2nd October and bombshell it most definitely was. Unfortunately I cannot comment on the proposed SMP because I/we, the so called stakeholders, are yet to see it or be told what is contained therein. I find it extremely difficult to understand why it was released to the press before it’s completion and publication. A cynic would be forgiven for thinking that this was a part of a ‘softening up’ process to reduce the negative impact on it’s public release. The great danger here of course is that many people will ‘shoot the messenger’. Personally I would say well done Eastern Daily Press you have brought the whole sorry saga into the public eye. My congratulations to those involved at the Eastern Daily Press on an excellent report. 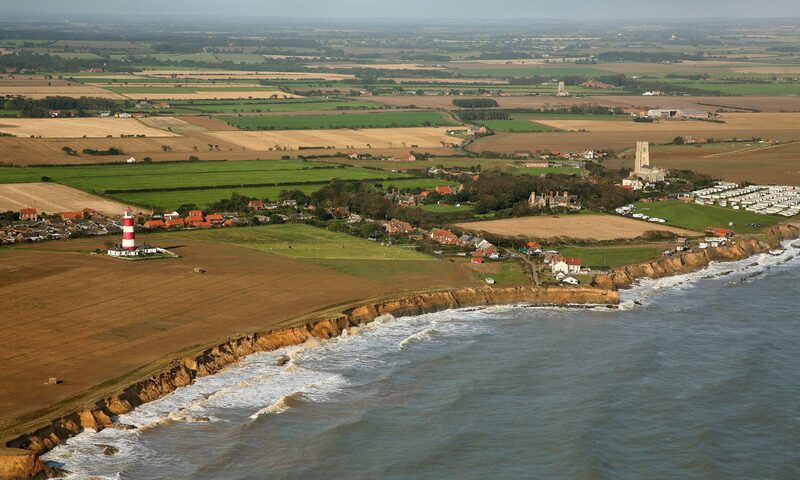 At least I no longer have to worry in my campaigning about blighting properties in Happisburgh that would otherwise not be affected, this so called SMP appears to have done precisely that for almost the entire length of the Norfolk coast and the inland coastal strip. I fear that many people will feel the impact of this proposed SMP in a devaluing of their property and perhaps even difficulty in selling. I very much look forward to the official publication of this second generation pilot SMP surely there will be much to comment on. Two words spring to mind: ‘stakeholder’ and ‘consultation’. At the moment those words seem meaningless. Here we see all the hallmarks of a ‘done deal’ before we even get a chance to have any input. Disgraceful!! I sense the heavy hand of Westminster in this.